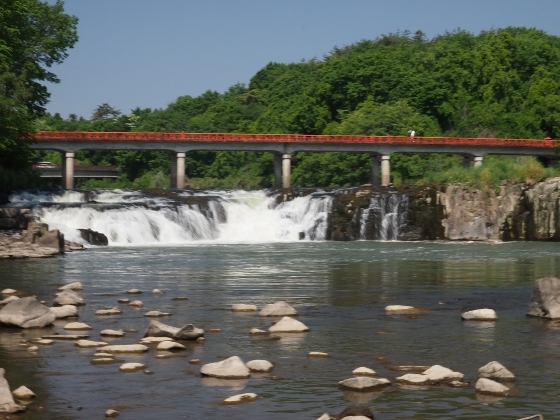 After leaving Sukagawa, Basho’s first destination was Otsujigataki Falls of the Abukuma River. The waterfall was located on the border of today’s Sukagawa City and Tamakawa Village and the view as of today looked as shown above. 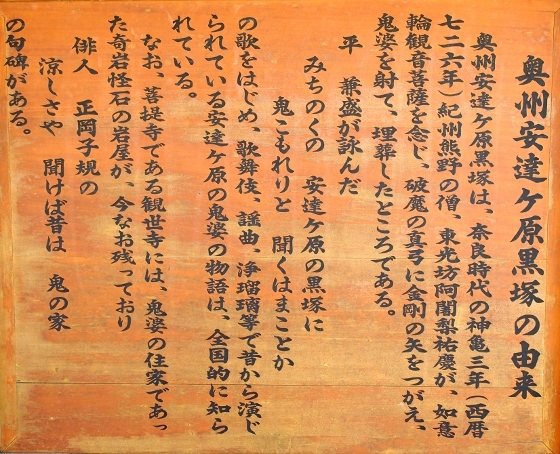 Seeing the waterfall, Basho created a Haiku poem which said “Samidareno Takifuriuzumu Mizukasakana”, which meant the waterfall was abundant of water with seasonal rain in June. 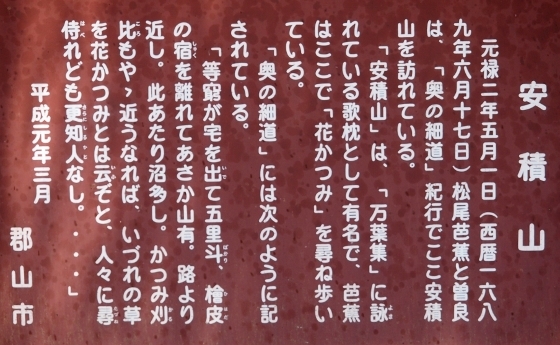 Then Basho and Sora traveled along the old Oshu Highway to Koriyama. 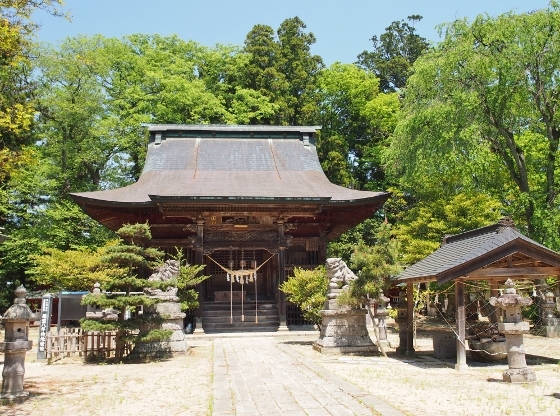 On the way, they stopped at Tamura Shrine, which was located in the southern Tamura district of the city. The shrine looked as shown above today and a board in the precinct told us about his visit here in 1689. 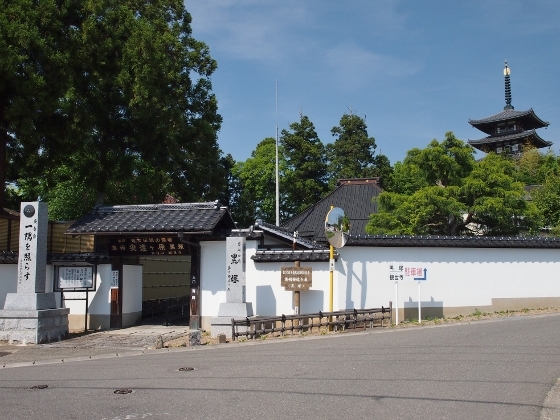 They continued their journey northward and arrived at Hiwada district of Koriyama. They visited Asakayama which was a small hill along Oshu Highway. The name was famous as it had appeared a number of times in Tanka and Haiku poems. 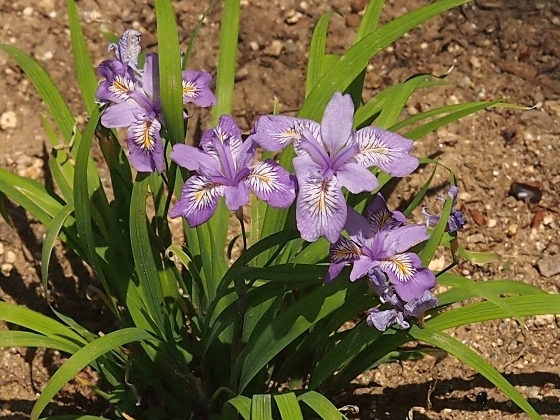 Basho was looking for small iris flowers, which was called Hanakatsumi in Japanese or its academic name was “Iris gracilipes”. This was explained in a board above. 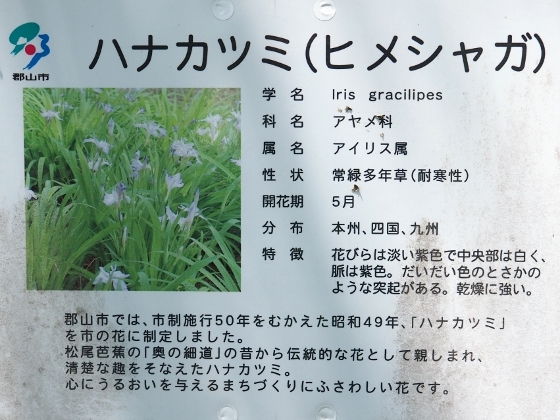 I found some of Hanakatsumi iris flowers on the slope of Asakayama as shown above. There also was a board which told us that the flower was designated as the flower of Koriyama City. Basho also visited Asakanuma Swamp close to Asakayama and looked for the same flower. 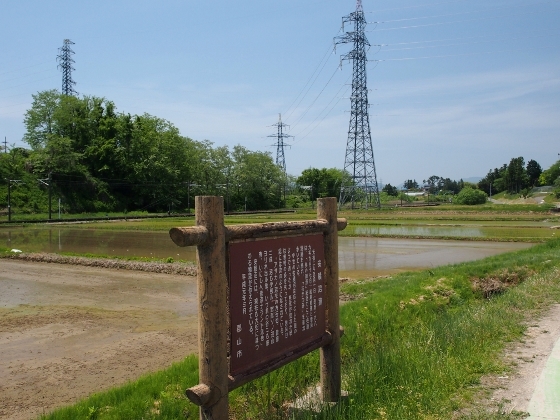 Asakanuma Swamp site was no more swamp today and all the area were rice fields as shown in the picture above. 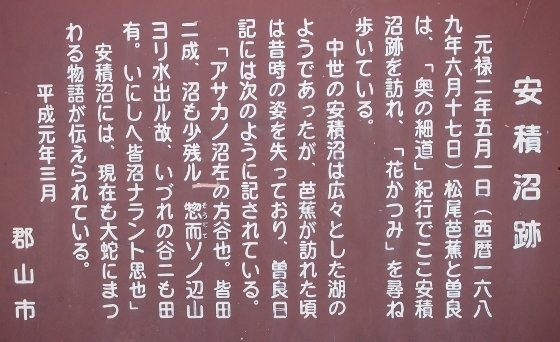 The condition was similar even when Basho visited more than 300 years ago as the “Asakanuma Swamp Site” description board above told us. 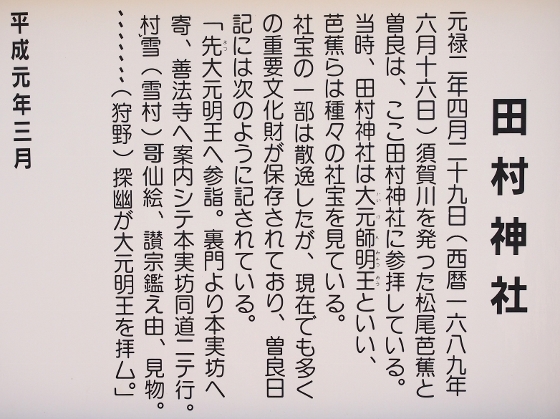 Then Basho traveled further north to Nihonmatsu. 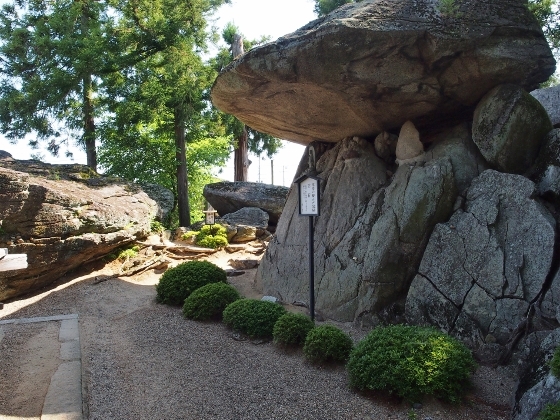 His destination was a historic Kurotsuka Site. There was an old story of merciless witch who lived in Kurotsuka Site, but finally she was killed and buried under Kurotsuka Mound. 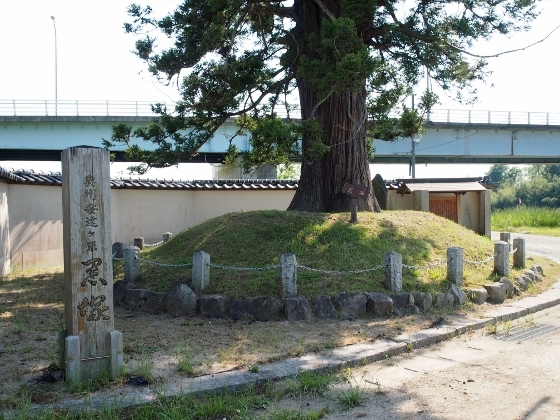 Her large stone house called “Iwaya”, and Kurotsuka Mound were preserved at the site. Photos above show an outside view of the site, Iwaya stone house, and Kurotsuka Mound. 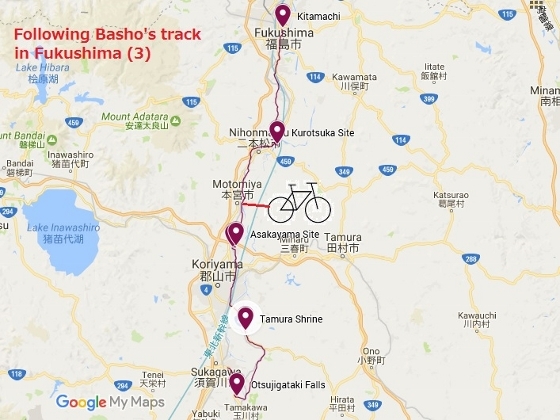 Actually, Basho stayed a night at Hiwada post village, and the next day he moved to Nihonmatsu and finally to Kitamachi of Fukushima City where he stayed another night. Today, I traveled from Sukagawa to Fukushima in a day and stayed a night near Kitamachi area. Tomorrow is the last journey for me traveling through the northern part of Fukushima Prefecture. The exact route and locations are shown in the map below. The map can be scaled up and down with a click and scroll.